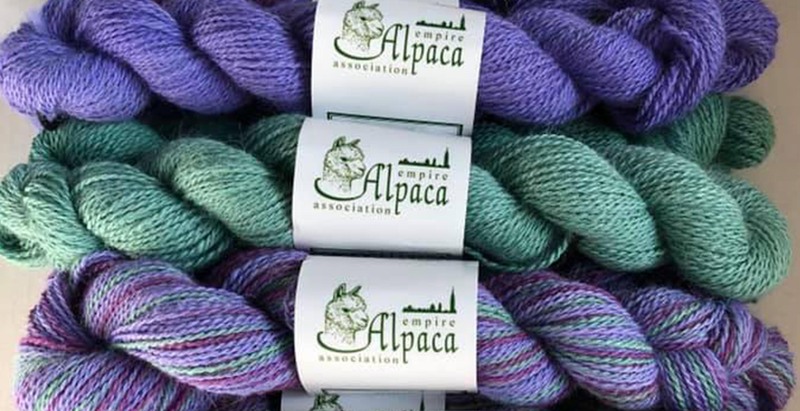 Empire Alpaca Assoc. : Red Granite Ranch is a farm located in Livermore, Colorado owned by Marc and Sharon Milligan. Red Granite Ranch is located in beautiful Northern Colorado at the base of the Rocky Mountains on rolling hills of prairie grassland. 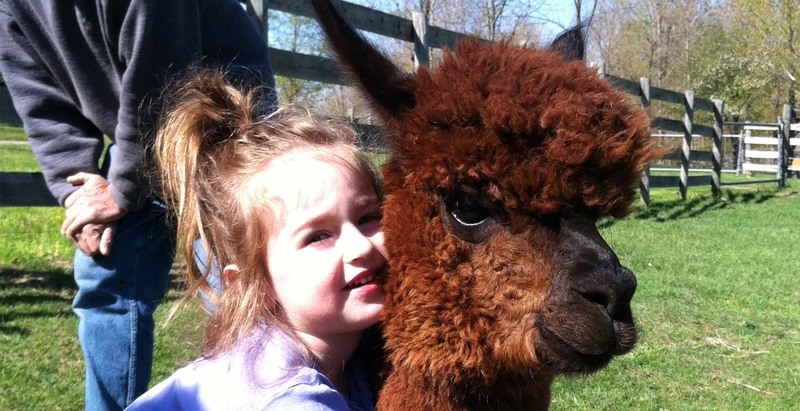 From the very beginning we began making purchases and breeding decisions that would allow us to build a herd of elite alpacas. 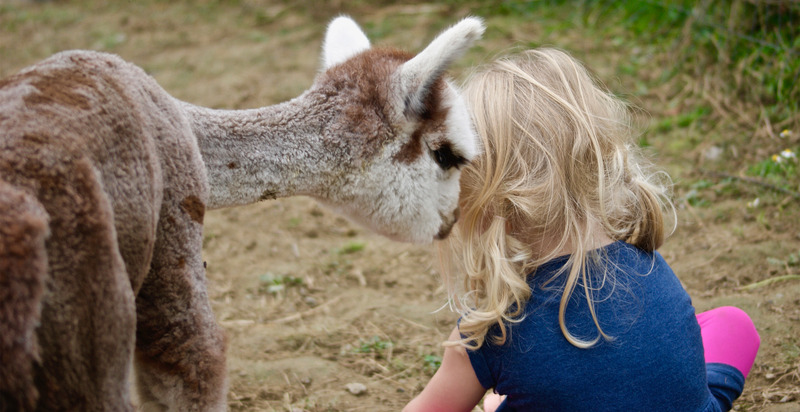 We wanted Alpacas that would pass on to their offspring good health, superior conformation, lasting fineness, density and uniformity in their fleece. 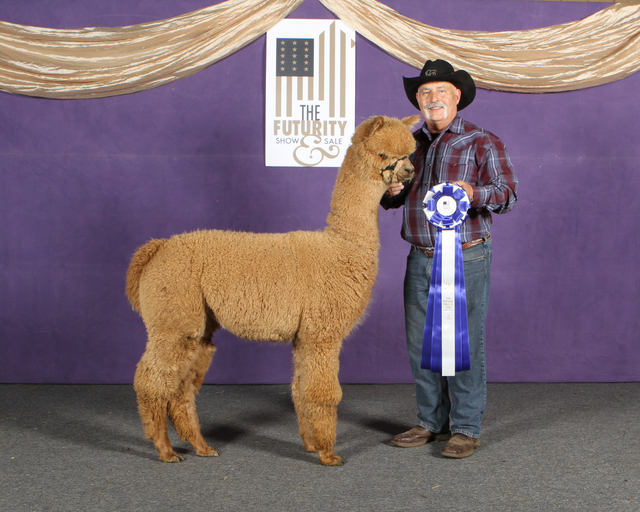 We are preparing our herd not only to be competitive in the show ring but profitable in the developing fiber market. 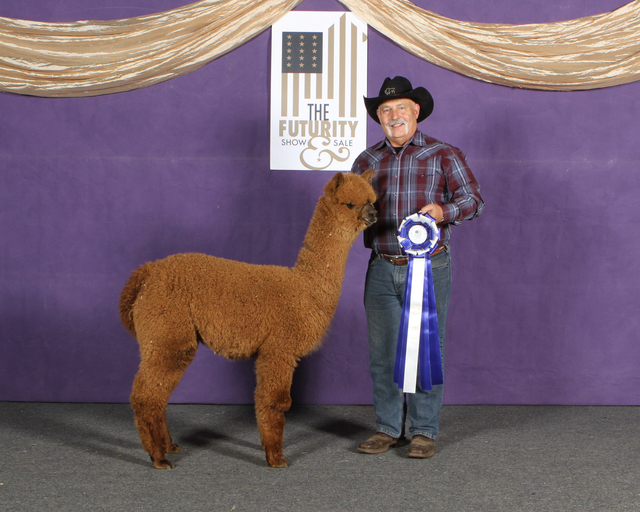 Our goal is excellence and herd advancement with every breeding decision we make. 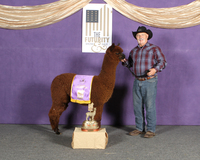 We have had the honor of being awarded the 2010 Futurity Small Breeder of the Year, 2012 Futurity Reserve Medium Breeder of the Year, 2015 and 2016 Futurity Reserve Large Breeder of the year. Our proven champion producing herdsire, Snowmass MR Sizlin Rose, also won 2016 Large Division Dark Herdsire of the Year. His son, RGR Val D Lsere also makes us proud by being awarded AOA's Dark Supreme Male Champion in 2016, 2017, and 2018. We provide seed stock for sale, agisting, as well as top of the line “Proven” Herdsires in every color. Woohoo! 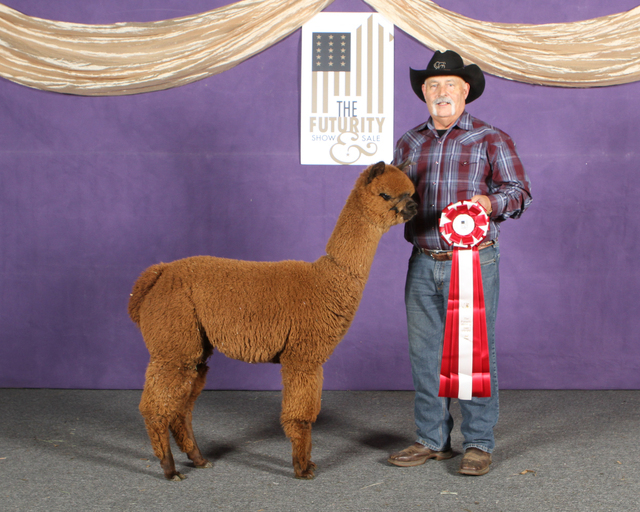 Red Granite's Val D Lsere's cria's were winning big at the 2019 Futurity! 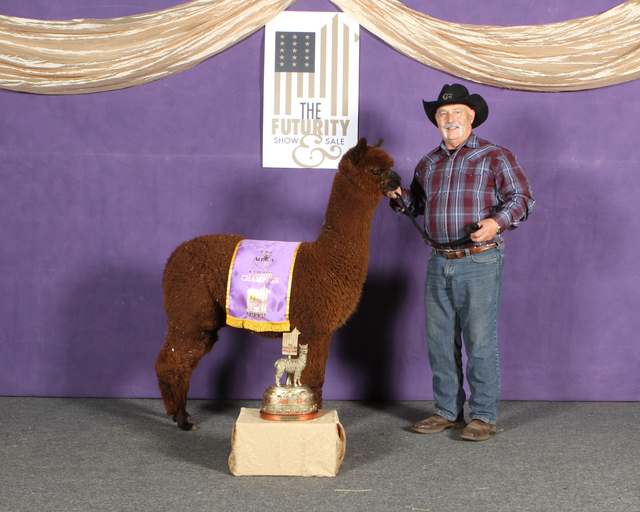 Red Granite's Party Girl took home the 2019 Futurity Female Brown Champion! At only her fourth show! Party Girl is a rich creamy Dark Brown, soft, dense, little girl. Her pedigree includes Snowmass Matrix, Snowmass MR Sizlin Rose, and we all can't forget her sire the 3x AOA National Champion, Val D Lsere. We have many Val baby and more coming! Val also had three other Female Offspring that we brung to the Futurity. 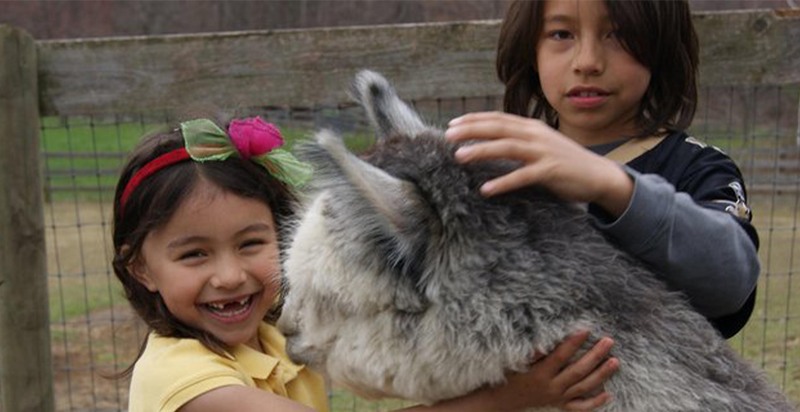 Red Granite's Cinnamon, Red GRanite's Holly, and Red Granite's Abeba! So don't miss out when we are selling a Val D Lsere baby hurry and grab it before its already sold! Talk to us to sceduale a date and time to come up!